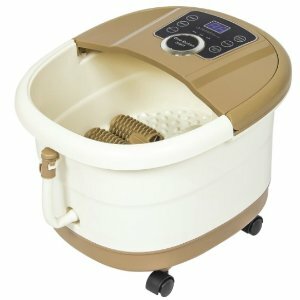 Best Choice Products offers the $39.99 Portable Foot Spa Bath Massager - Tan for $39.99 via coupon code DEALMOONSPA . Features: Reduce stress with a spa, right at home. Dip your feet into warm water and enjoy adjustable heating, oxygen waves, and a personalized massage experience. With custom massage settings and a portable, compact design, experience relaxation wherever you rest your feet.